Join Me In My “Nofollow” Madness! If you read my priceless Blog Traffic Made Easy article, you would notice that I recommend removing the “nofollow” attribute from the comment links on your blog in order to help promote additional commenting from your visitors. WordPress automatically adds a “nofollow” attribute to all of your blog’s comments. By removing this attribute, search engines will follow the links your visitors insert in their comments – including their URL’s. SiteFever.com is now using DoFollow, the plugin for WordPress that easily allows you to take care of this. So now when leaving a comment on my blog, be aware that any search engines that come my way will soon be coming after you! Join me in my “nofollow” madness! If you have removed the “nofollow” attribute from your blog, let us know! I’m don’t recall reading it in your newly released article but when you use the do-follow plugin you’ll need to moderate all comments to avoid spam comments, right? I briefly mentioned in the article that you would have to carefully moderate the comments- but then again, don’t you always have to watch the comments? I don’t know if it’s started happening to you or not because your blog is so new, but you will start to get a TON of spam comments everyday, which is why I manually approve each comment on my blog. If you do the same and decide to remove the “nofollow” attribute, you would have nothing to worry about. I am just using Akismet plugin for spam and it has worked wonderfully. It has only marked 1 for spam when it wasn’t, highly recommend it. As for the dofollow, I have installed this from nearly the start. I don’t get the whole nofollow/dofollow/whateverfollow. If I link to somebody or they comment on my websites, than by all means I think the search engines should take a gander their way! Google sure likes to control every little thing. awsome move I hope this works for you and increases comments 😉 . Love reading your site keep up the good work!!! @Shaun: Thanks! I see you have been coming back quite often. I’m glad you enjoy the blog! That’s awesome! I’ll look forward to the post. Give us the URL! Are there any downsides to allowing a follow? Somebody correct me if I’m wrong here, but none that I know of. You’re just telling the search engines when they crawl your site that they can also follow the links of those who have commented on your blog. I’m using Blogger and removed nofollow attribute on both of my blogs and I’ve never moderated any comments. I’ve pasted about it on top of my blog as a permanent feature. For me it’s good to receive any comments whether it’s the good, the bad and the ugly! I guess I don’t get much comments like yours and I still can afford to use the delete/trash bin button, for now. Congrats on removing the No follow. I removed on our travel blog about a month ago, which is on the blogger platform. I did a post on Pixelheadonline where I told how I went about removing the tag on a blogger platform blog. @ArahMan7 & Antonius: Thanks for the comments! I’m glad to see I’m not the only one who has decided to do this! NoFollow is a silly technical “solution” to a non-problem. Kudos to you for disabling NoFollow on you blog comments – that was the first mod I did to my WP installation years ago. I think I will remove nofollows today. I removed it some months ago. So far, I did not have to delete more spam than before, so I would say it is a success. I have not noticed any more spam than I did before, either. I did, however, notice a large influx of commenting on this blog as soon as I removed “nofollow”. installed and anticipating the results, thx! i also have askimet, so hopefully all is good, without any additional administration. @basscleff: I didn’t notice any more than the usual spam. Everything seems to be working great so far! I have been contemplating doing the DoFollow thing, but haven’t done it yet with my WordPress blog. I was worried if I linked to “bad neighborhoods” it would hurt my search engine rankings. I will have to read your PDF to see what you say. O joined your “no follow” cult by uploading and installing the plugin on my site. Maybe you should design a badge that we can showcase in our sidebar so we can state to be in that movement. If you look in my sidebar, I actually do have a graphic representing the fact that i have removed the nofollow attribute. The image was taken from http://randaclay.com/blog/i-follow/, who has made the image available in multiple colors. Check it out! I moderate all comments anyway. Do you think it’s a good idea for a new site to implement dofollow, or should you wait for your site to build a while? I really don’t see the difference in implementing this plugin on your blog’s first day or after its been online for years. It is a good thing for your visitors to know that you do not use the nofollow attribute, so be sure to let them know. I do have dofollow enabled, but I have to say I am not using that plugin. I don’t want comment spam or meaningless comment posts just because the links are dofollow. I really urge you to use Dofollow Trackbacks plugin I wrote. This way you will share your link love only with the people who has found your post valuable enough to link it on their blog. I am thinking of implementing this on my blogs, but how do you prevent spammers from using your comment section? Do you manually check each URL? Agreed, between akismet and moderation no garbage will get through. do follow comment has a good effects but it will also attract spammers. I can’t believe nofollow is the default for WordPress – it doesn’t stop spam – spammers don’t check whether you have nofollow before spamming!! I don’t understand why everyone thinks that removing the nofollow attribute will bring more spammers. Do people really think that spammers go around looking at everyone’s source code trying to find who does and doesn’t have a nofollow attribute given to their links? I don’t think so. I’ve removed DoFollow from my blog, and encourage others to do the same. As the above “Blogs For Money” blogger states – it does seem incredible that WordPress has NoFollow set by default when it encourages comments. 1 down… several billion more to go…! I didn’t even know that such thing exists, but thanks to you now I joined the NoFollow Madness! so this is it then, you are the creator of this campaign ? I have seen many places this little logo (you comment/I follow) and I just knew what it means. I keep the Do Follow List updated on my site (there are more than 300 sites listed already) and I wanted to invite you to join. I think setting NoFollow is incorrect, because people can’t really fix spammers. 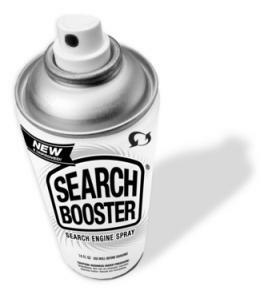 Search engines is constantly upgrading. For example, Google use algorithms that blacklist spammer sites. Thst’s very kind thought…Very few blogger have the same opinion like you.